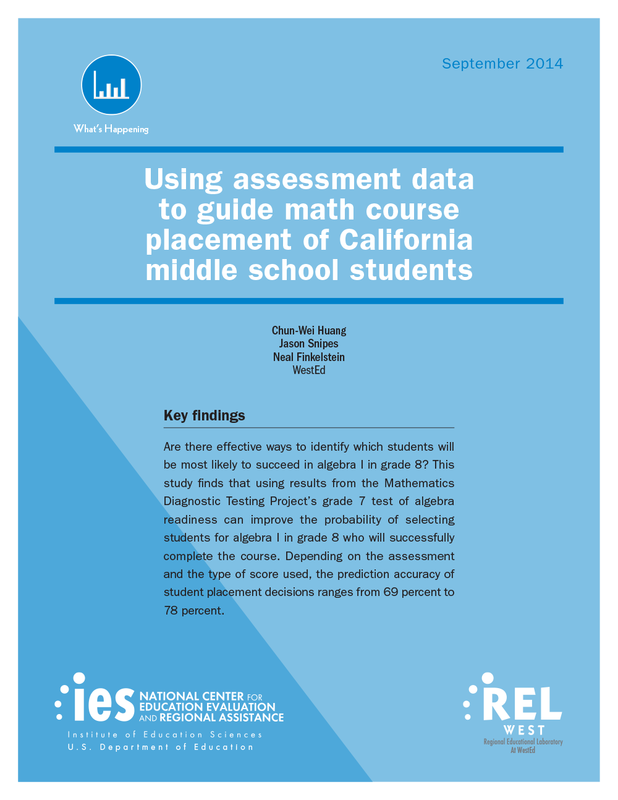 Success in middle school math is a key predictor of students’ success in high school and beyond — and is therefore an important issue for policy and practice nationwide. To raise math success rates in middle school, many schools and districts have implemented summer math programs designed to prepare students for algebra content in grade 8. However, little is known about the effectiveness of these programs. 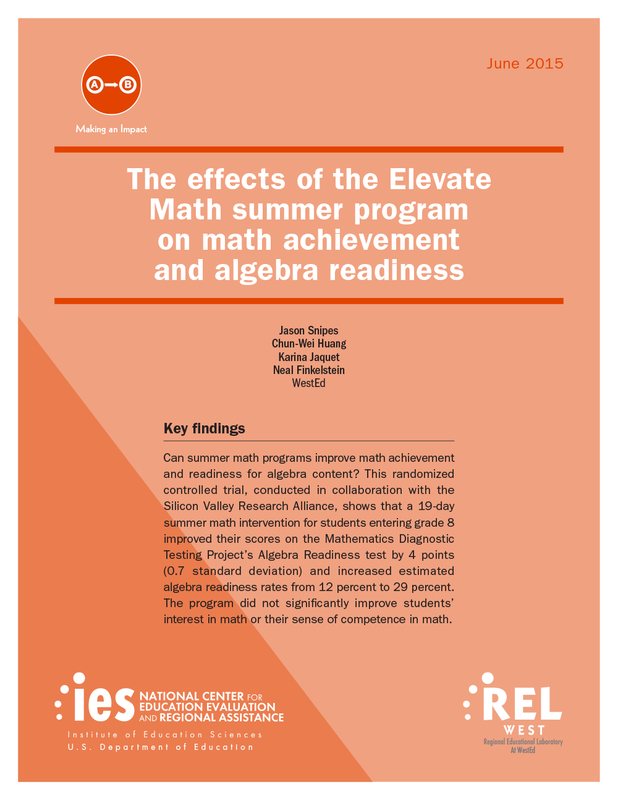 This study, prepared by Regional Educational Laboratory West (REL West), examines the effects of the Elevate Math program on student achievement. Designed by the Silicon Valley Foundation, Elevate Math aims to help students succeed in middle school math and master important math and science skills that are needed to excel in college and career. Studies have shown that enrolling in algebra I in grade 8 works well for some students but backfires for others. This report provides findings from a study of placements that were based on different test scores available for students in California. 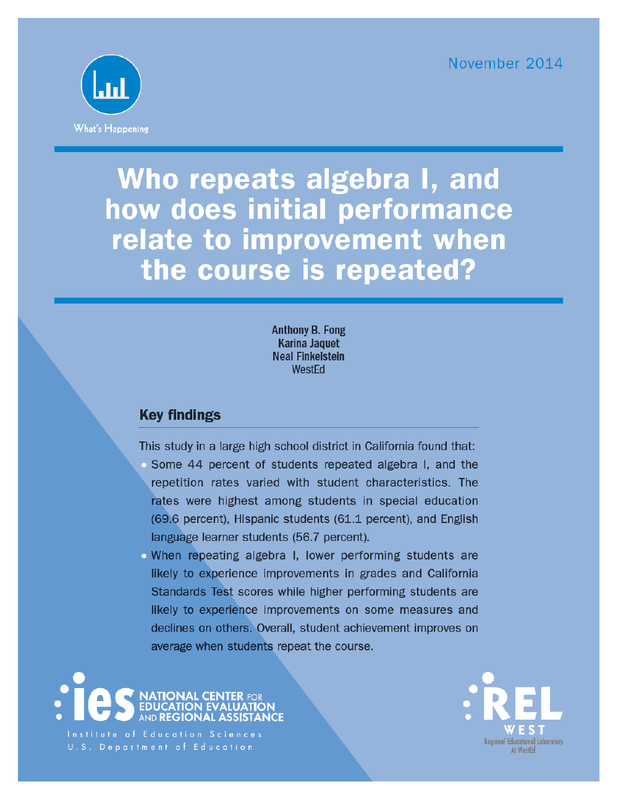 Who Repeats Algebra I, and How Does Initial Performance Relate to Improvement When the Course Is Repeated? Should all students who fail Algebra I repeat the course? Are there other course options available? 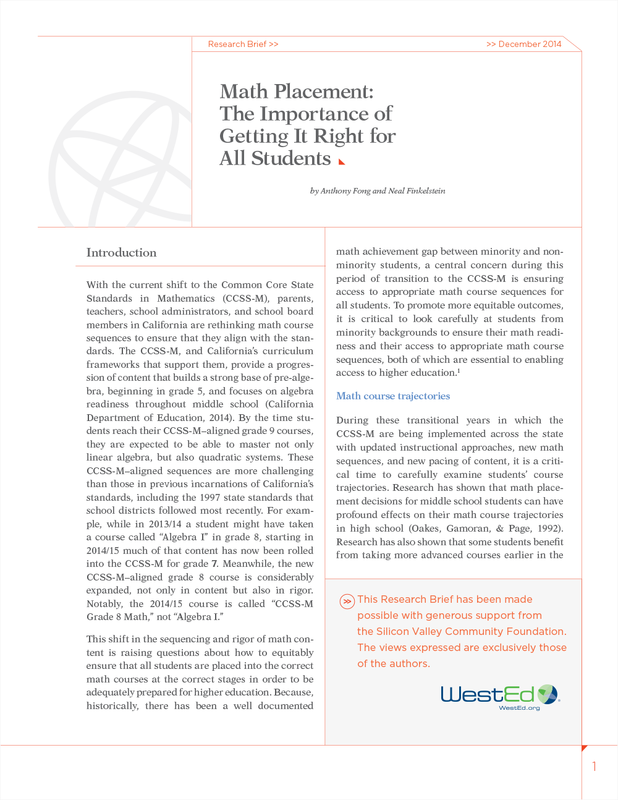 Recent research study results can help educators making math placement decisions.